A Bright Autumn – What is Style? It is going to be a bright and cosy autumn 2015 if Zambesi and World have their way. 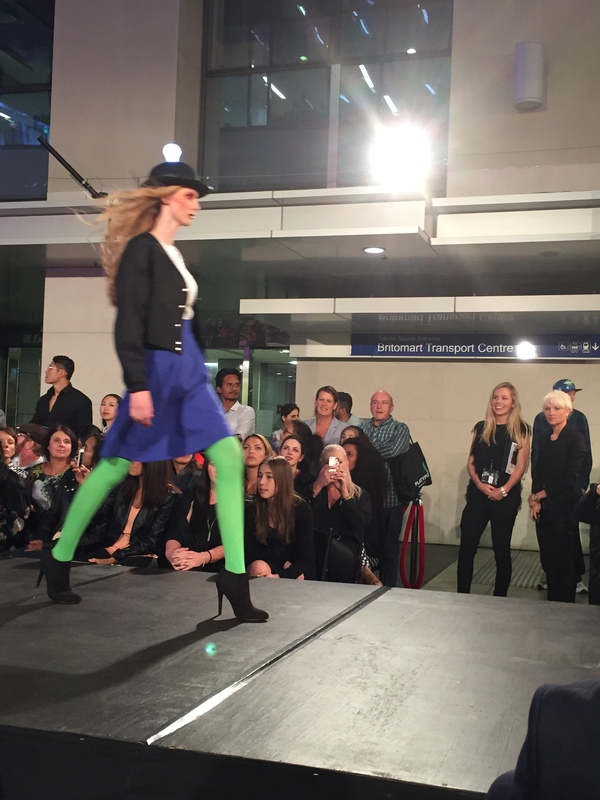 Showcasing their upcoming collections at the recent Britomart Fashion Sessions, Zambezi was all about sharing the colour stage with their usual prominent black mixed with mauve and royal blue. I personally loved the Tulip Coat and would love one of the XXXV blankets. World on the other hand, were all a-light, thanks to the models parading down the catwalk with a delicately poised bulb shining brightly, while others were wearing rabbit ears. Neon tights with bold bright colours – a signature dish that World does well reminds us that their clothes aren’t for the faint hearted. Their ability to mix and match colours never ceases to amaze me. I love the fact that much of the collection is in store already, so no waiting round. With that hint of autumn in the air and day-light saving coming to an end, it could be perfect timing for something new. Very nice clothes and good to see some colour there, but I do feel hot just looking at them! No such thing as a hint of autumn here in QLD. Days in the 30’s are still well and truly with us, as is the seemingly eternal summer wardrobe, although the shops are doing their best to convince us we want warm things and coats! Its a little that way here in NZ – still pretty warm, and struggling thinking it will soon be time to put away the summer wardrobe, and get out the winter clothes. You are so lucky to live somewhere constantly warm.